Lime Sherbet Rainbow Pebble Popsicles – a quick and easy treat for St. Patrick’s Day! 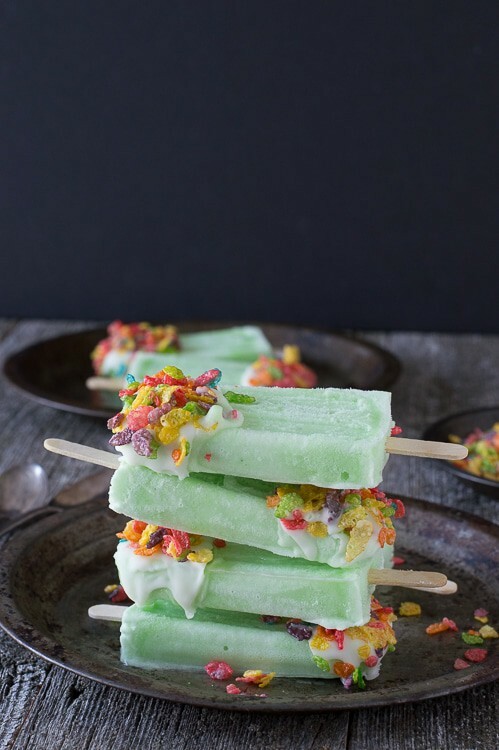 Although this recipe’s technical name is ‘lime sherbet rainbow pebble popsicles’ I call this creation the ‘super quick & easy, I just remembered it’s St. Patrick’s Day tomorrow’ recipe. If you can get your hands on some lime sherbet and scoop it into your popsicle mold the night before St. Patrick’s Day, your popsicles will be ready to go the next morning. Easy, right? 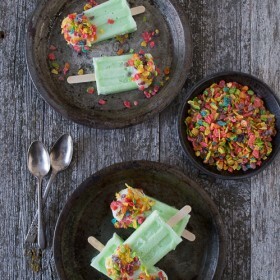 Before serving the popsicles, spoon some melted vanilla candiquik or almond bark over the top portion of the popsicle and top with a handful of fruity pebbles. 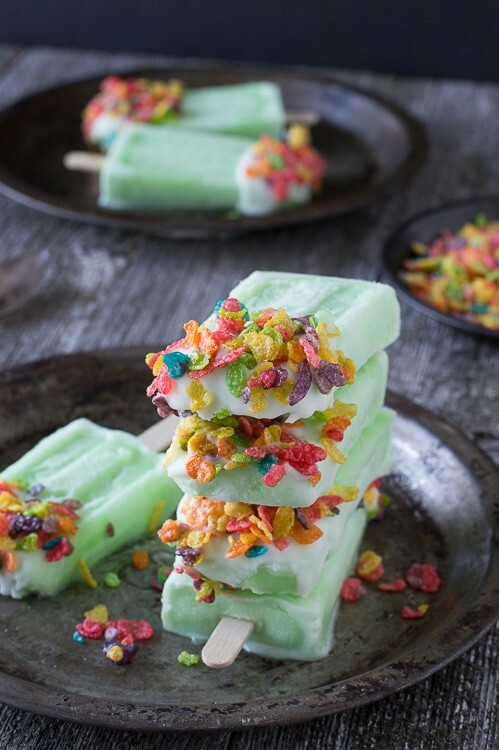 But if you want something that is even quicker I have three other ideas..
1) Mix the fruity pebbles and softened lime sherbet together then spoon the mixture into your popsicle mold and let it freeze over night. No vanilla candiquik required. Easy. 2) Put a scoop of lime sherbet in a bowl and sprinkle some fruity pebbles on top. Super easy. Look at that! You thought you were coming for one St. Patrick’s Day recipe, but now you have four easy recipes in your arsenal for St. Patrick’s Day. I don’t think you could have an excuse to not celebrate! I think part of the reason why I love St. Patrick’s Day so much is because my mom would always do fun things with us to celebrate the holiday when we were young. I remember having green milk, green eggs & ham, and I am pretty sure she convinced us that leprechauns were real. I suppose it helps that we are part Irish, but I’m excited to carry on the tradition when we have kids! Using a spoon, scoop the softened lime sherbet into the popsicle mold. Once they are full, tap the mold against the counter to release air bubbles. 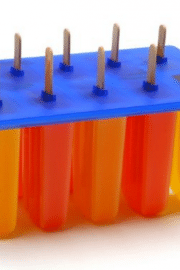 Insert the sticks into the popsicle mold and freeze over night. To get the popsicles to release from the mold, fill your kitchen sink with room temperature water. Place the mold in the water, making sure the water does not go above the top of the mold. Allow the mold to sit in the water for a few seconds. Begin to wiggle a popsicle free. If it feels tough, allow them to set in the water a few more seconds. Once all of the popsicles are removed from the mold, place them on a baking sheet lined with wax paper and return them to the freezer. Melt the vanilla candiquik and vegetable shortening in a small saucepan over low heat, stir until the mixture is melted. This may take up to 8 minutes, but keep the heat on low. Place some fruity pebbles in a bowl near the stove. Doing one popsicle at a time, remove the popsicle from the freezer and spoon some white chocolate on the top half of the popsicle. The chocolate will already begin to harden, so you need to move quickly. 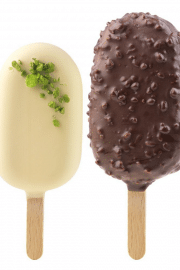 If chocolate doesn’t get on the bottom side of the popsicle, that is fine. 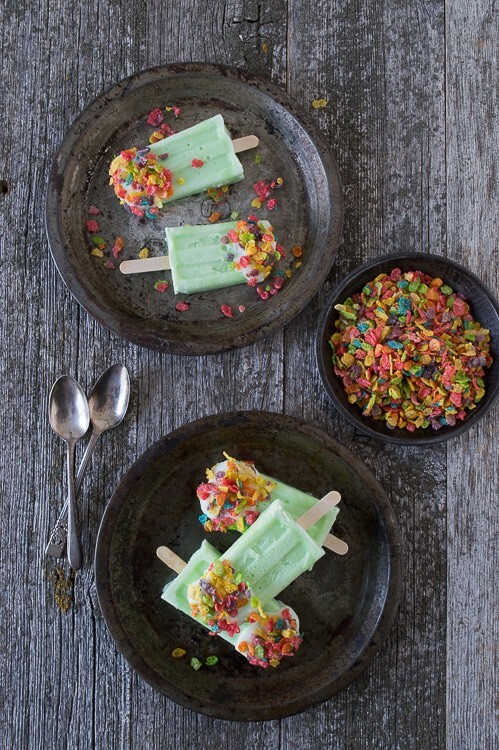 Quickly sprinkle fruity pebbles on the chocolate and return the popsicle to the freezer. Repeat this method until all of the popsicles are covered. Keep the popsicles frozen until serving. 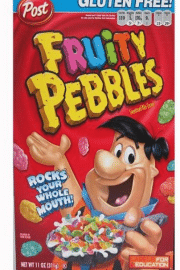 They are best if you eat them the same day you add the fruity pebbles. 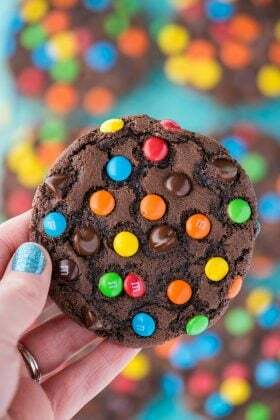 What a fun and easy recipe, my kids would love this! Hahaha, I know, what a fun mid-week activity! I love your use of fruity pebbles! The donuts and now these popsicles. 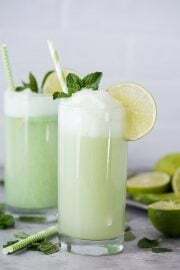 Lime sherbet sounds so tasty! Thank you Jen! I do love fruity pebbles! Fruity Pebbles come in handy! I’m crowning you the Fruity Pebbles queen – absolutely love these and can’t wait to make them for my menagerie! It’s almost too easy to pass up, right?! I like all three of those options! I will be over soon for my bowl of fruity pebbles with a Popsicle for dessert! Hahaa, I’ll be watching for you out the window! These are absolutely adorable… bring on summer, I’m ready! I don’t care if it is cold out and frigid. I want one of these! Sherbet is good all year round! Too cute Beth! I am always up for a popsicle, especially one covered in fruit pebbles. I’m so glad you love them too! I just think these are the cutest things!! You are so creative. Love this!